Welcome to the very first American Languagenut blog post! It has come at a perfect time as Halloween is just around the corner, so dust off your broomsticks and get your cauldrons boiling, it’s time to get spooky! There are two key elements to creating a haunting atmosphere in your classroom, and that’s decorations and devilish activities. 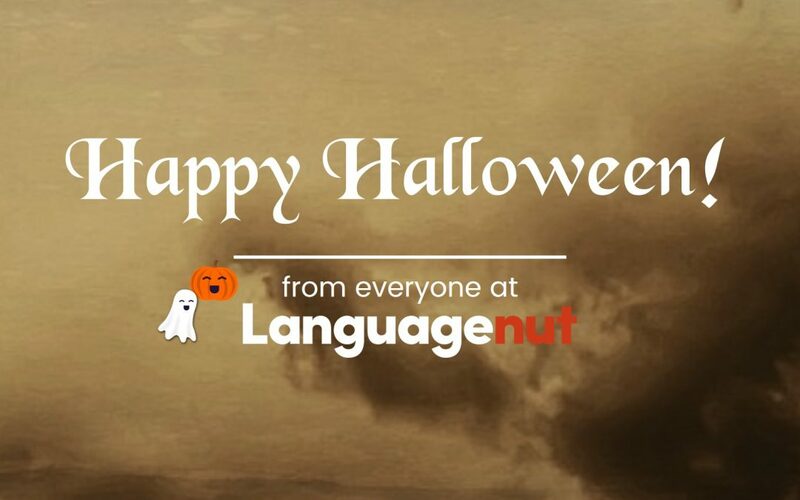 To help you out (don’t worry, it’s not a trick) we’ve come up with some gruesome language resources, read on if you dare…. There are many ways you can turn your classroom into a haunted house. You could cover the desks in cobwebs and spiders, break the lightbulbs so it’s dark and dingy, and splash water on the carpet for that horrible squelch sound! Okay, as spooky as that will be, it might not go down too well with your school’s janitor… The next best alternative is, scary bunting! Let your students help with the decorating, while practicing their colour vocabulary, with our colour-by-numbers bunting! We all know how mischievous ghouls, witches and monsters can be, especially this time of year! It’s no wonder some are wanted by the authorities ? Your students can help capture them by creating their own wanted posters. Get out your colouring pencils, this spooky activity lets your students design their very own monsters. But, what they look like will be up to the dice… bring on the 4 legged, 2 headed and 1 eyed creeps! Split your class into two teams and nominate a student from each team to be mummified! The two soon-to-be mummies will stand at one end of the classroom, with their team mates in two queues at the other. The aim of the game is to see which team can wrap up their mummy class mate with toilet roll the quickest. But, there’s a catch! Before the students at the front of the queues can leave, they must translate a word/phrase. The student to translate the word first gets to run to their mummy and wrap the toilet roll around them 3 times before returning to the back of the queue. Another word/phrase is given, and this process is repeated in a relay race style until one team runs out of toilet roll. To help you out with the word/phrases, check out our flash cards below. We’ve included some blank flash cards at the end, so you can add your own content! We’d love to find out what you and your students got up to this Halloween (especially your toilet roll mummies! ), so don’t forget to share some photos with us on our Facebook and Twitter pages. In the meantime, why not log in or sign up for a free 30 day Languagenut trial to check out our exciting new language learning resources. Happy Halloween!